Enjoy the fresh seaside breezes in your coastal cottage bedroom with this enchanting panel bed. 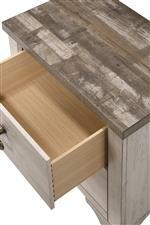 The charming coastal look comes from a weathered gray finish that emulates reclaimed driftwood. The headboard and footboard feature a contrasting rail in darker gray for a fetching two-tone look. The plank design adds to the cozy rustic feel. The Patterson Twin Coastal Cottage Distressed Panel Bed by Rooms Collection One at Rooms Furniture in the Houston, Sugar Land, Katy, Missouri City, Texas area. Product availability may vary. Contact us for the most current availability on this product. 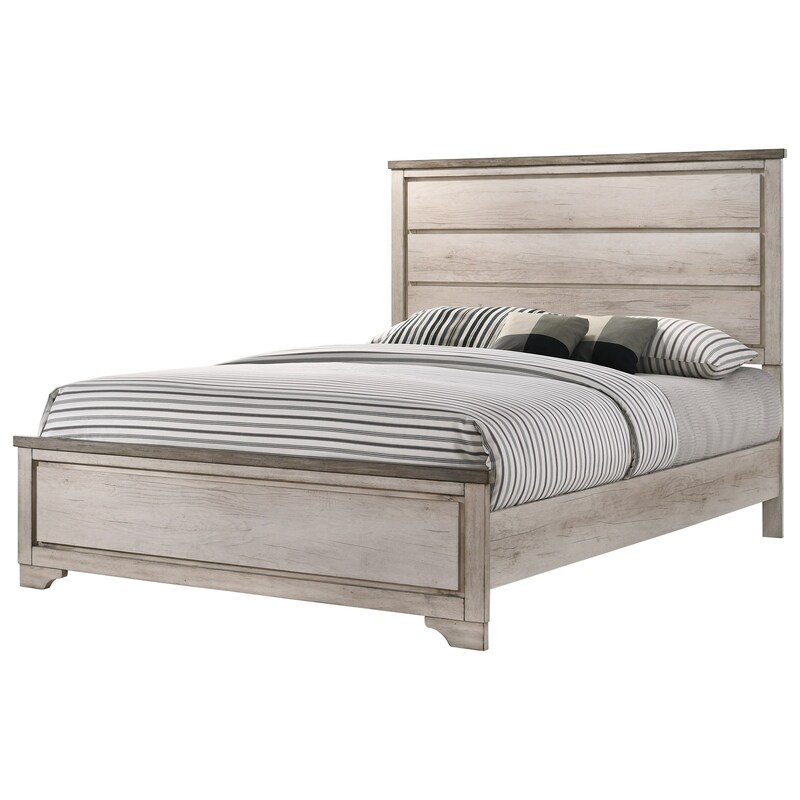 B3050-FT-RAIL Patterson F/T Panel Bed Rail 1 76" 0.7" 7.7"
B3050-T-HBFB Patterson Twin Panel Bed Hb/Fb 1 43" 1.9" 54"
The Patterson collection is a great option if you are looking for Cottage Coastal furniture in the Houston, Sugar Land, Katy, Missouri City, Texas area. Browse other items in the Patterson collection from Rooms Furniture in the Houston, Sugar Land, Katy, Missouri City, Texas area.